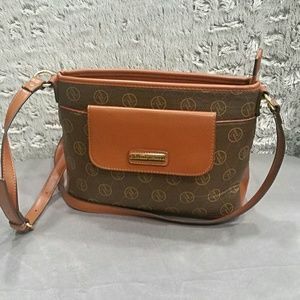 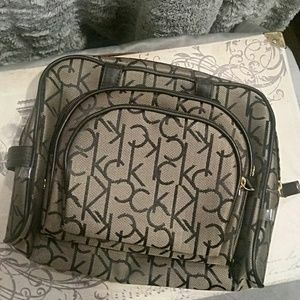 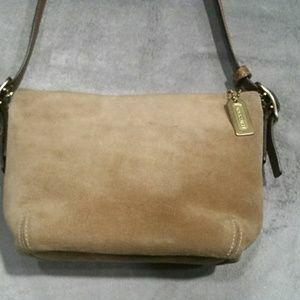 Calvin Klein Travel Make-up, set of 3 bags. 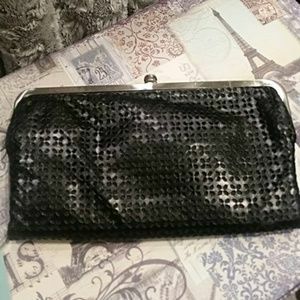 Black crosshatch leather Rebecca Minkoff Clutch. 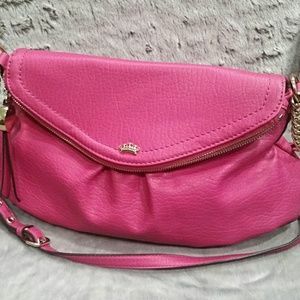 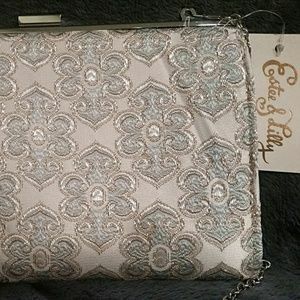 Juicy Couture Hot Pink Crossbody Purse. 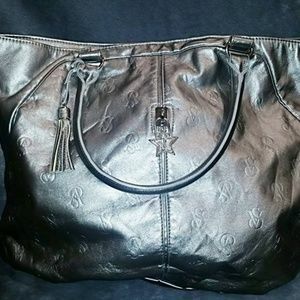 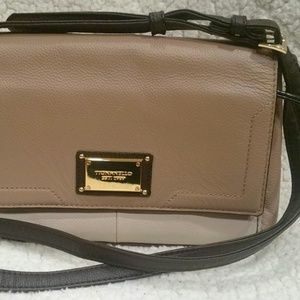 Dune London Black Leather Purse - H-9" X W-11"
Victoria Secret Silver Shoulder Tote.